The emergence of playing cards in Europe during the 14th century gave birth to a wealth of different games. Bridge has its roots in a few games played throughout the 18th century which evolved over time to become, in the 1930s, the modern game of bridge with which we are familiar today. 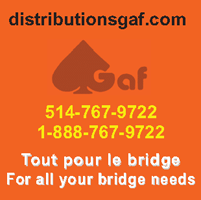 The word “bridge” seems to have emerged from two whist variants, Greek and Russian, played in French and English circles. They were merged to become britch (or biritch). Anglicized, the word would become “bridge” by the end of the 19th century. Six games were precursors to the game of bridge: biritch in Russia, khedive in Turkey, hombre in Spain, quadrille in France, whist in England and boston in the United States. Where Was the Game of Bridge First Played? Bridge was first played around 1860 in the eastern confines of the Mediterranean Sea, on the shores of the Bosphorus, in Greece and Alexandria. Around 1880, it took over the French Riviera followed by England and the United States. During this period, the first works referencing bridge in English-speaking countries were published. The first official rulebooks appear at the end of 19th century. Who Were the First Bridge Players? The first bridge players were diplomats under the Ottoman Empire and, more widely, well-travelled cosmopolitans. In the Western world, the game of bridge was played by most aristocrats, members of the upper middle classes, and French soldiers during WWI.